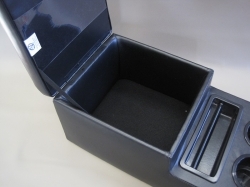 New Center Console Kit for the 2015 - 2018 Tahoe PPV Police Vehicle. 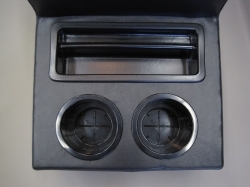 The console is a dark black center console with automotive grade vinyl designed to fit the 2015-2018 Chevy Tahoe, Silverado, Suburban or GMC Yukon and Yukon XL 2WD and 4WD Vehicles. 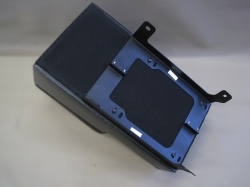 It includes brackets and fasteners to attach it to the 4 factory console mounting points in the floor. No drilling necessary. 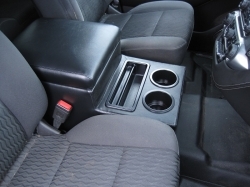 24" L x 12 3/4" W at base x 11" H at the armrest. 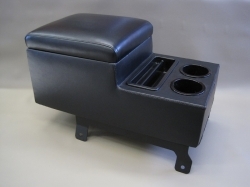 12” L X 11” W X 7 7/8” H under the non-locking armrest. No drill center console mounting kits are our specialty and in the continuing tradition, now offering this option for anyone purchasing a Police Tahoe. The bracket attaches to the vehicle using the factory bolt locations.